Wholesale Polycom SIP Phones for your IP-PBX or Softswitch! Have you invested in a Hosted IP-PBX or Softswitch telephone platform? When adding SIP phones to your network, look no further than Telephone Magic for wholesale Polycom IP phones! 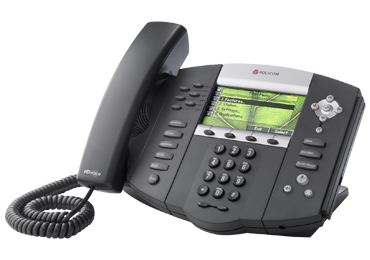 The Polycom SoundPoint IP 670 is a six-line SIP desktop phone with color display that brings lifelike richness and voice quality to phone calls. Your teams need reliable communication devices. They prefer deskphones that come with multiple lines but without complicated features. The Polycom SoundPoint IP 670 combines state-of-the-art hardware with proven Polycom UC software designed for executive users and busy professionals. The SoundPoint IP 670 is a premium, six-line, SIP desktop phone with a color display. It delivers crystal-clear HD voice quality that meets the voice communication needs of even the most discerning users. The Polycom SoundPoint IP 670 combines a large, backlit color display that gives users a rich visual experience with a menu of options that are simple for users to navigate. 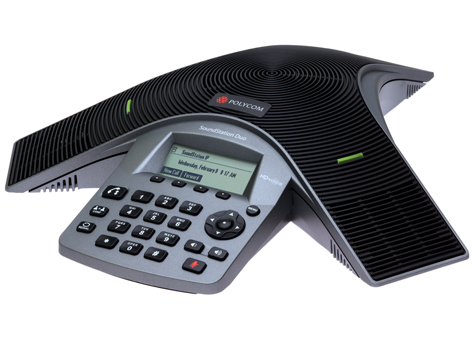 In addition, through its vibrant color user interface, the Polycom SoundPoint IP 670 is ideal for accessing applications, such as the Polycom Productivity Suite. This device also delivers a significantly augmented and visually pleasing user experience when running productivity-enhancing third-party applications developed with Polycom XML API. This entry was posted in hosted ip-pbx, ip phones, ip-pbx, polycom, sip phones, softswitch, soundpoint, soundpoint ip, soundpoint ip 670, voice over ip, voip on October 14, 2012 by jjackson.